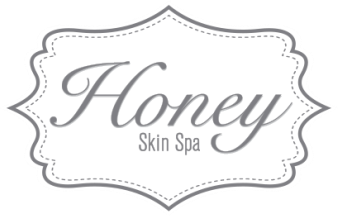 Have the Honey Skin Spa all to yourselves while our aestheticians pamper you and your friends. It's the perfect environment for a small party, book club, bachelorette party, Mother's Day or girls' night out. We offer customized mini facials during our spa parties so you can get an amazing glow, relax and enjoy the company of loved ones! Call 206-453-5053 or email honeyskinspa@gmail.com for more information. and your makeup will go on beautifully over your healthy skin. For brides we recommend a 60 minute Illuminating Oxygen Facial at $185. We also offer packages of 3 or 5 so you can save money for your honeymoon! *A beautifying Back Treatment is a fantastic add-on to your facial. Note: Lash extensions are also a stunning accessory for your big day, and look incredible in photos. Plus, since you won't need to wear mascara you won't have to worry about it running down your cheeks while you cry tears of joy! We recommend getting them about 3 weeks before your wedding day so that your lashes have time to adjust, and you can have a lash fill right before the wedding. See our Services page for pricing details.